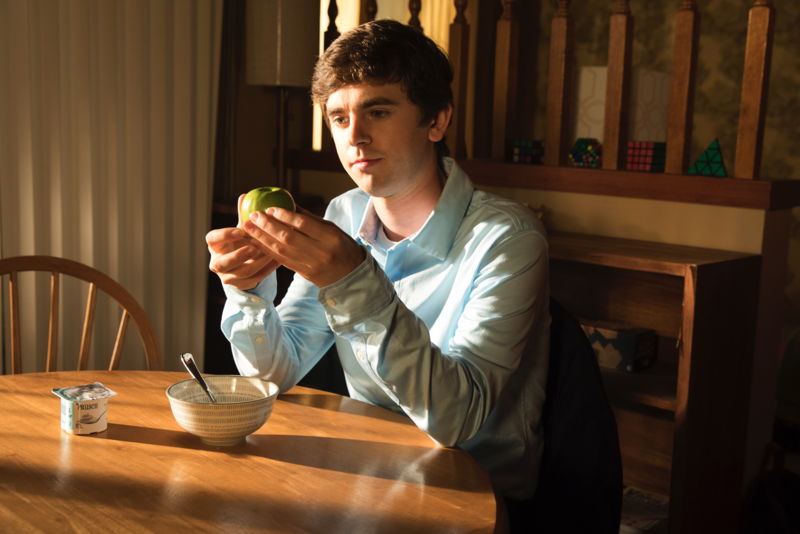 During last week’s episode of The Good Doctor, we saw some serious personal growth from pretty much all characters but, especially from Dr. Shaun Murphy. The simple act of Dr. Melendez handing Dr. Murphy the scalpel and formally stating that he believes in him helped propel Dr. Murphy’s confidence. You could clearly see that transpire in the final scenes of last week’s episode. Apple was written by David Renaud and Bates Motel and LOST fans will be excited to know, the episode was directed by Nestor Carbonell. From Sony Pictures Television and ABC Studios, The Good Doctor stars Freddie Highmore as Dr. Shaun Murphy, Antonia Thomas as Dr. Claire Browne, Nicholas Gonzalez as Dr. Neil Melendez, Chuku Modu as Dr. Jared Kalu, Beau Garrett as Jessica Preston, Hill Harper as Dr. Marcus Andrews, Richard Schiff as Dr. Aaron Glassman and Tamlyn Tomita as Allegra Aoki. The series is written by David Shore (House). Shore is also an executive producer along with Daniel Dae Kim (Lost, Hawaii Five-O), David Kim and Sebastian Lee. The Good Doctor airs Mondays at 10 PM EST on ABC. Will you be tuning in?